Hey everyone! 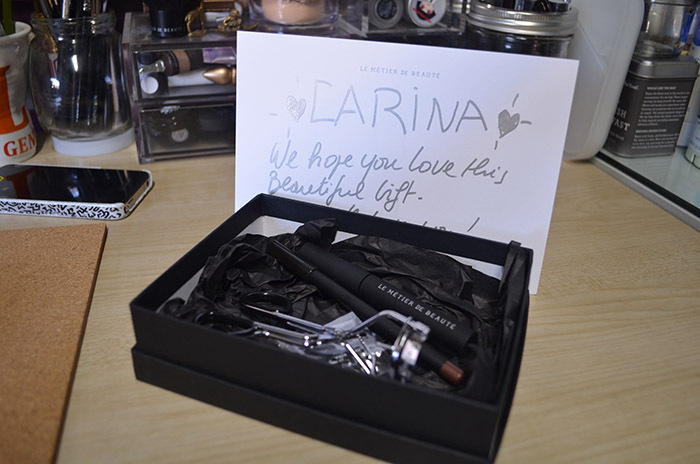 Here’s a quick post on the Le Métier de Beauté Beauty Vault VIP November 2013 box, which arrived here a few days ago. The LMdB Beauty Vault VIP is a one-year subscription box that opened last July. Sign-ups for the next round will open back up next year. As always, it comes elegantly packaged along with a sweet, handwritten note. The first item was the Dualistic Eye Pencil in Tamarack, which I had been wanting to get for the longest time. It retails for $36. 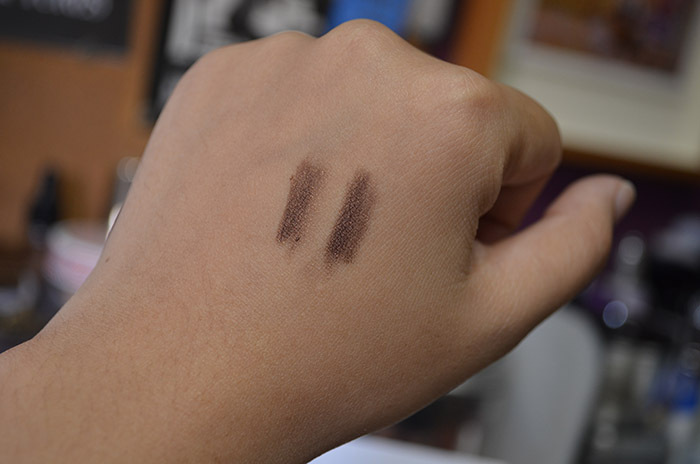 Anyway, when I swatched, I was smitten but I also thought it looked a lot like a MAC eye kohl called Teddy, swatched on the right. 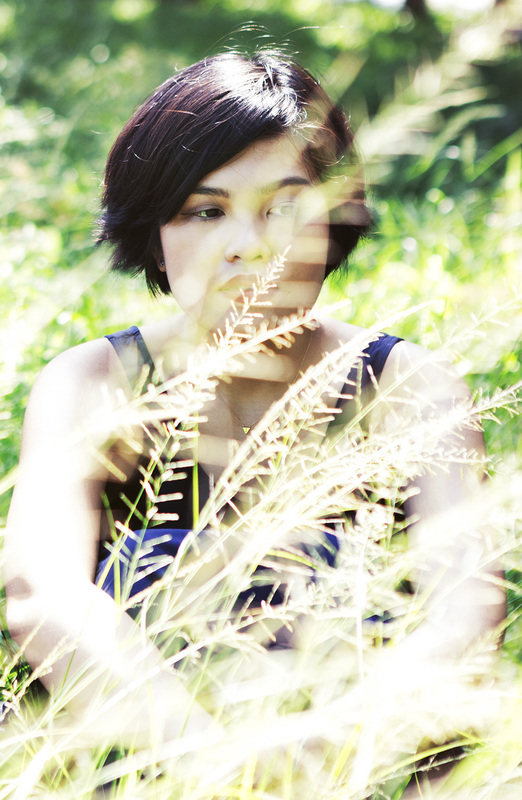 This photo is a bit of a disservice to both colors, because they are beautiful and have a warm bronzey sheen to them. Teddy is a little bit deeper, but otherwise they are pretty identical. MAC eye kohls retail for $16. 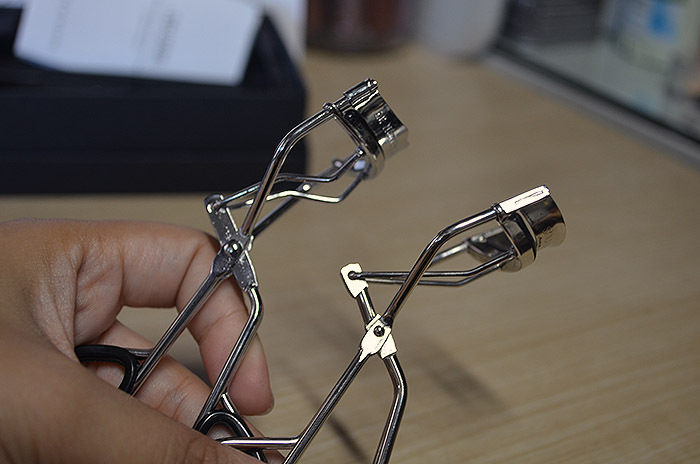 Next up is their Eyelash Curler, shown on the left next to my HG lash curler, shu uemura. LMdB’s is valued at $18. I didn’t think I would like this but lo and behold—this curled the lashes on my right eye like it had never been curled before. The pad on the LMdB curler is much softer than shu uemura’s, which has often been noted as its weakness. For me, though, the pad is probably what makes it a better fit. 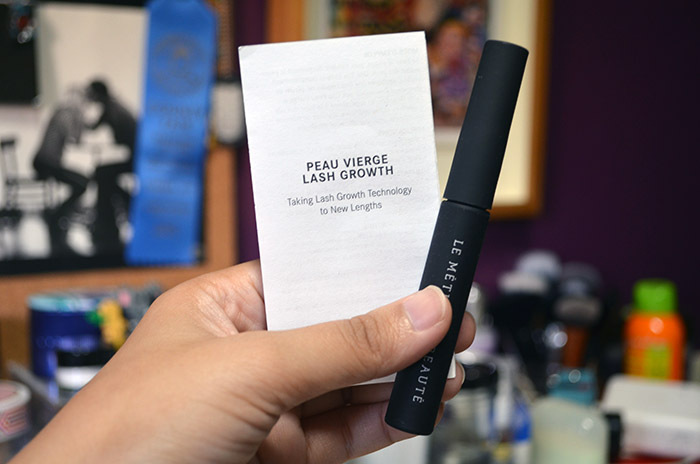 Lastly, we have the Peau Vierge Lash Growth, which is a serum for better lashes. UM. YES PLEASE. Priced at $95, I would never have gotten this for myself. I would have chosen to get a Kaleidoscope instead. However, now that I have it, I’m excited! I’ll post results in about a week or two. And, to cap it all off, here is the note that came with this month’s box. I am hoping to get one from one of the CEOs or founders in the next boxes. It’s only the fourth month and I’ve gotten over $500 worth of products. Sweet deal, in my opinion! 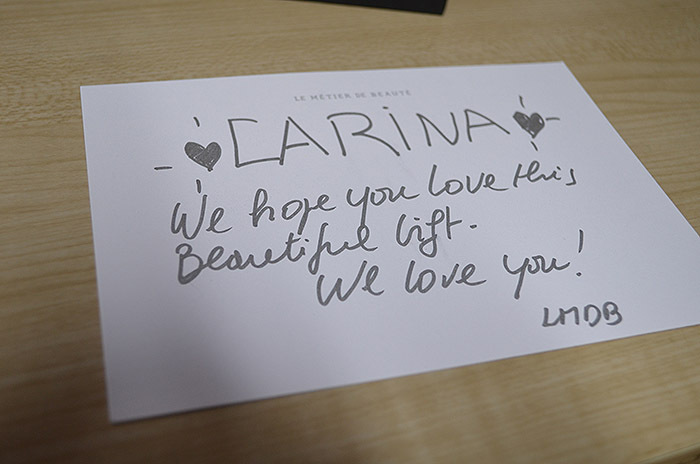 Le Métier de Beauté is cruelty-free. Thanks to Sarie for being my LMdB sub box sponsor. Haha. Do you know how much the subscription to this box is? The products in their site I very pricey, but I’m wondering what kind of deal the monthly box would be. Hi Anna, it was a single payment of $348 for 12 months, so it’s about $29/month, plus tax. Definitely a good deal, if you like Le Métier de Beauté and want to explore the brand a little more without breaking the bank! This may just be the BEST beauty box ever. Your GF is sooo sweet to sponsor you! I dont even want to add up the entire worth of this beauty box. Excited to see the Lash Growth results! !